As the classic card game UNO approaches its 50th anniversary, Mattel is launching a sequel. The appropriately named DOS (“two” in Spanish) retains many of the attributes of its predecessor, including the familiar system of matching numbered and colored cards. Over a two-year development period, Mattel worked to ensure that gameplay is both different and complementary to UNO. Unlike UNO, players in DOS win by earning points, not by being the first to get rid of all their cards. Players also make two piles of cards and have the option of throwing down two cards at a time instead of one. Like UNO, there’s a verbal aspect to the game, which should please both purists and newcomers alike. 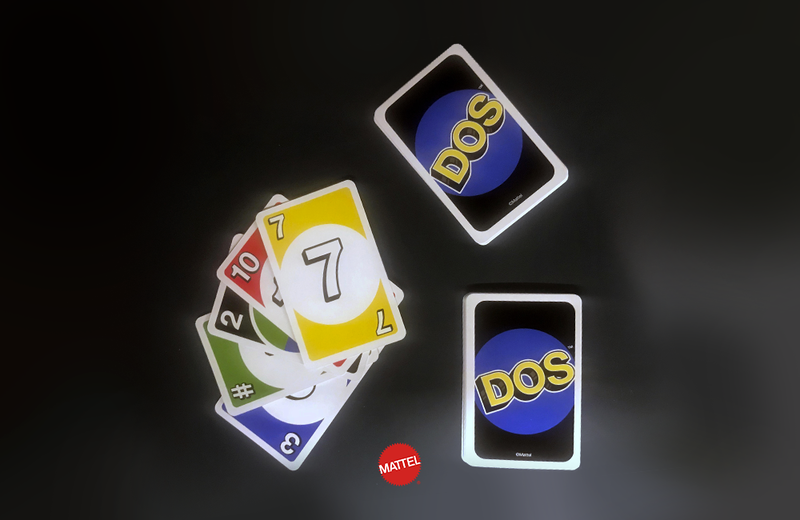 Any player down to his or her last two cards must be the first to inform opponents by shouting out “DOS!” If another player notices and calls out “DOS” first, the player is forced to pick up two cards. DOS is hitting store shelves for $5.99 exclusively at Target on March 4. Mattel is planning on extending distribution to other retailers in August. With their Andy Warhol Campbell's Soup Can Chess Set, online retailer Kidrobot allows iconic pop art to be added to any game room.